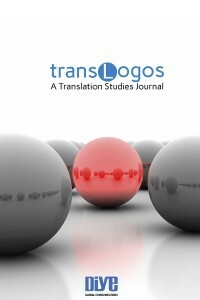 TransLogos Translation Studies Journal is an open access, blind peer-reviewed, international e-journal published by Diye Global Communications, which aims to contribute to the discipline of translation studies, focusing on the interdisciplinary nature of the field and providing a platform for scholars and researchers to discuss the changing trends and demands in the field of translation studies. TransLogos Translation Studies Journal covers a wide area ranging from Translation Theory, Translation Criticism, History of Translation and Translation Studies, Applied Translation to Linguistics, Literature, Machine Translation, Computer Technologies in Translation, Translator Training, Technical Writing, and meta issues in Translation Studies. TransLogos now accepts submissions of articles for Volume 2 Issue 1. For more information, please visit Call for Papers.